All the world over, the operation of winning from the soil and rendering marketable the many valuable ores and mine products which abound is daily becoming more and more a scientific business which cannot be too carefully entered into or too skilfully conducted. The days of the dolly and windlass, of the puddler, cradle, and tin dish, are rapidly receding; and mining, either in lode or alluvial working, is being more generally recognised as one of the exact sciences. In the past, mining has been carried on in a very haphazard fashion, to which much of its non-success may be attributed. But the dawn of better days has arrived, and with the advent of schools of mines and technical colleges there will in future be less excuse for ignorance in this most important industry. This chapter will be devoted to Company formation and working, in which mistakes leading to very serious consequences daily occur. It is not necessary to go deeply into the question why, in the mining industry more than any other, it should be deemed desirable as a general rule to carry on operations by means of public Companies, but, as a matter of fact, few names can be mentioned of men who mine extensively single handed. Yet, risky as it is, mining can hardly be said to be more subject to unpreventable vicissitudes than, say, pastoral pursuits, in which private individuals risk, and often lose or make, enormous sums of money. However, it is with Mining Companies we are now dealing, and with the errors made in the formation and after conduct of these Associations. The initial mistake most often made is that sufficient working capital is not called up or provided in the floating of the Company. Promoters trust to get sufficient from the ground forthwith to ensure further development; the consequence being that, as nearly 99 per cent of mining properties require a very considerable expenditure of capital before permanent profits can be relied on, the inexperienced shareholders who started with inflated hopes of enormous returns and immediate dividends become disheartened and forfeit their shares by refusing to pay calls, and thus many good properties are sacrificed. In England, the companies are often floated fully paid-up, but the same initial error of providing too little money for the equipment and effective working of the mine is usually fallen into. Again, far too many Companies are floated on the report of some self-styled mining expert, often a man, who, like the schoolmaster of the last century, has qualified for the position by failing in every other business he has attempted. These men acquire a few geological and mining phrases, and by more or less skilfully interlarding these with statements of large lodes and big returns they supply reports seductive enough to float the most worthless properties and cause the waste of thousands of pounds. But the trouble does not end here. When the Company is to be formed, some lawyer, competent or otherwise, is instructed to prepare articles of association, rules, etc. ; which, three times out of four, is accomplished by a liberal employment of scissors and paste. Such rules may, or may not, be suited to the requirements of the organisation. Generally no one troubles much about the matter, though on these rules depends the future efficient working of the Company, and sometimes its very existence. Then Directors have to be appointed, and these are seldom selected because of any special knowledge of mining they may possess, but as a rule simply because they are large shareholders or prominent men whose names look well in a prospectus. These gentlemen forthwith engage a Secretary, usually on the grounds that he is the person who has tendered lowest, to provide office accommodation and keep the accounts; and not from any particular knowledge he has of the true requirements of the position. The way in which some Directors contrive to spend their shareholders' money is humorously commented on by a Westralian paper which describes a great machinery consignment lately landed in the neighbourhood of the Boulder Kalgoorlie. "It would seem as if the purchaser had been let loose blindfold in a prehistoric material-founder's old iron yard, and having bought up the whole stock, had shipped it off. The feature of the entire antediluvian show is the liberal allowance of material devoted to destruction. Massive kibbles, such as were used in coal mines half a century ago, are arranged alongside a winding engine, built in the middle of the century, and evidently designed for hauling the kibbles from a depth of 1000 feet. Nothing less than horse-power will stir the trucks for underground use, and their design is distinctly of the antique type. The engine is built to correspond—of a kind that might have served to raise into position the pillars of Baalbec, and the mass of metal in it fairly raises a blush to the iron cheek of frailer modern constructions. The one grand use to which this monster could be put would be to employ it as a kedge for the Australian continent in the event of it dragging its present anchors and drifting down south, but as modern mining machinery the whole consignment is worth no more than its value as scrap-iron, which in its present position is a fraction or two less than nothing." Next, a man to manage the mine has to be obtained, and some one is placed in charge, of whose capabilities the Directors have no direct knowledge. Being profoundly ignorant of practical mining they are incompetent to examine him as to his qualifications, or to check his mode of working, so as to ascertain whether he is acting rightly or not. All they have to rely on are some certificates often too carelessly given and too easily obtained. Finally, quite a large proportion of the allottees of shares have merely applied for them with the intention of selling out on the first opportunity at a premium, hence they have no special interest in the actual working of the mine. Now let us look at the prospects of the Association thus formed. The legal Manager or Secretary, often a young and inexperienced man, knows little more than how to keep an ordinary set of books, and not always that. He is quite ignorant of the actual requirements of the mine, or what is a fair price to pay for labour, appliances, or material. He cannot check the expenditure of the Mining Manager, who may be a rogue or a fool or both, for we have had samples of all sorts to our sorrow. The Directors are in like case. Even where the information is honestly supplied, they cannot judge whether the work is being properly carried out or is costing a fair price, and the Mining Manager is left to his own devices, with no one to check him nor any with whom he can consult in specially difficult cases. Thus matters drift to the almost certain conclusion of voluntary or compulsory winding up; and so many a good property is ruined, and promising mines, which have never had a reasonable trial, are condemned as worthless. But let us ask, would any other business, even such as are less subject to unforeseen vicissitudes than mining, succeed under similar circumstances? It is now very generally agreed that to the profitable development of mining new countries, at all events, must look mainly for prosperity, while other industries are growing. Therefore, we cannot too seriously consider how we may soonest make our mines successful. What is the remedy for the unsatisfactory state of affairs we have experienced? The answer is a more practical system of working from the inception. Although it may evoke some difference of opinion I consider it both justifiable and desirable that the State should take some oversight of mining matters, at all events in the case of public Companies. It would be a salutary rule that the promoters of any mining undertaking should, before they are allowed to place it on the market, obtain and pay for the services of a competent Government Mining Inspector, who need not necessarily be a Government officer, but might, like licensed surveyors, be granted a certificate of competency either by a School of Mines or by some qualified Board of Examiners. The certificate of such Inspector that the property was as represented, should be given before the prospectus was issued. It is arguable whether even further oversight might not be properly be taken by the State and the report of a qualified officer be compulsory that the property was reasonably worth the value placed upon it in the prospectus. Probably it will be contended that such restrictions would be an undue interference with private rights, and the old aphorism about a fool and his folly will be quoted. There are doubtless fools so infatuated that if they were brayed in a ten hundred-weight stamp-battery the "foolishness that had not departed from them" would give a highly payable percentage to the ton. Yet the State in other matters tries by numerous laws to protect such from their folly. A man may not sell a load of wood without the certificate from a licensed weighbridge or a loaf of bread without, if required, having to prove its weight; and we send those to gaol who practise on the credulity and cupidity of fools by means of the "confidence trick." Why not, therefore, where interests which may be said to be national are involved, endeavour to ensure fair dealing? Then with regard to the men who are to manage the mines, seeing that a man may not become captain or mate of a river steamboat without some certificate on competency, nor drive her engines before he has passed an examination to prove his fitness, surely it is not too much to say that the mine manager or engineer, to whose care are often confided the lives of hundreds of men, and the expenditure of thousands of pounds, should be required to obtain a recognised diploma to prove his qualifications. The examinations might be made comparatively easy at first, but afterwards, when by the establishment of Schools and Mines the facilities have been afforded for men to thoroughly qualify, the standard should be raised; and after a date to be fixed no man should be permitted to assume the charge of a mine or become one of its officers without a proper certificate of competency from some recognised School of Mines or Technical College. The effect of such a regulation would in a few years produce most beneficial results. In New Zealand, whose "progressive" legislature I do not generally commend, they have, in the matter of mine management, at all events, taken a step in the right direction. There a mine manager, before he obtains his certificate, must have served at least two years underground, and has to pass through a severe examination, lasting for days, in all subjects relating to mining and machinery connected with mining. In addition, he must prove his capacity by making an underground survey, and then plotting his work. The examination is a stiff one, as may be judged from the fact that between 1886 and 1891, only 27 candidates passed. Then the conditions were made easier, and from that date to 1895, 19 passed. Of the 46 students who gained first-class honours, 30 have left for South Africa or Australia, in both of which countries New Zealand certificated men are held in high estimation. But returning to the formation of the Company, care should be taken in appointing Directors that at least one member of the Board is selected on account of his special technical knowledge of mining, and others for their special business capacity. The ornamental men with high sounding names should not be required in legitimate ventures. Also, it is most important that the business Manager or Secretary should be a specially qualified man, who by experience has learned what are the requirements of a mine doing a certain amount of work, so that a proper check may be kept on the expenses. The more Companies such a Secretary has the better, as one qualified man can supervise a large staff of clerks, who would themselves be qualifying for similar work, and gaining a useful and varied experience of mining business. An office of this description having charge of a large number of mines is, in its way, a technical school, and lads trained therein would be in demand as mine pursers, a very responsible and necessary officer in a big mine. With respect to the men to whom the actual mining and treatment of ores and machinery is committed the greatest mistakes of the past have been that too much has been required from one man, a combination not to be found probably in one man in a thousand. Such Admirable Crichtons are rare in any profession or business, and that of mining is no exception. Men who profess too much are to be distrusted. Your best men are they who concentrate their energies and intellects in special directions. The Mining Manager should, if possible, be chosen from men holding certificates of competency from some technical mining school and, of course, should, in addition, have some practical experience, not necessarily as Head Manager. He should understand practical mine surveying and calculation of quantities, be able to dial and plot out his workings, and prepare an intelligible plan thereof for the use of the Directors, and should understand sufficient of physics, particularly pneumatics and hydraulics, to ensure thoroughly efficient pumping operations without loss of power from unnecessarily heavy appliances. Any other scientific knowledge applicable to his business which he may have acquired will tell in his favour, but he must, above all things, be a thoroughly practical man. Such men will in time be more readily procurable, as boys who have passed through the various Schools of Mines will be sent to learn their business practically at the mines just as we now, having given a lad a course of naval instruction, send him to sea to learn the practical part of his life's work. But, of course, more is wanted on a mine than a man who can direct the sinking of shafts, driving of levels, and stoping of the lode. Much loss and disappointment have resulted in the past from unsuitable, ineffective, or badly designed and erected machinery, whether for working the mine or treating the ores. To obviate this defect a first-class mining engineer is required. Then, also, day by day we are more surely learning that mining in all its branches is a science, and that the treatment of ores and extraction of the metals is daily becoming more and more the work of the laboratory rather than of the rule-of-thumb procedure of the past. Every mine, whether it be of gold, silver, tin, copper, or other metal, requires the supervision of a thoroughly qualified metallurgist and chemist, and one who is conversant with the newest processes for the extraction of the metals from their ores and matrices. It has then been stated that to ensure effective working each mine requires, in addition to competent directors, a business manager, mining-manager, and assistants, engineer, chemist, and metallurgist, with assistant assayers, etc., all highly qualified men. But it will be asked, how are many struggling mines in sparsely populated countries to obtain the services of all these eminent scientists? The reply is by co-operation. One of the most ruinous mistakes of the past has been that each little mining venture has started on an independent course, with different management, separate machinery, etc. Can it then be wondered at that our gold-mining is not always successful? Under a co-operative system all that each individual mine would require would be a qualified, practical miner capable of opening and securing the ground in a miner-like manner, and a good working engineer; and in gold-mining, where the gold is free in its matrix, a professional amalgamator, or lixiviator. For the rest, half a dozen or more mines may collectively retain the services of a mine manager of high attainments as general inspector and superintendent, and the same system could be adopted with respect to an advising metallurgist and an engineer. For gold, as indeed for other metals, a central extracting works, where the ores could be scientifically treated in quantity, might be erected at joint cost, or might easily be arranged for as a separate business. A very fruitful cause of failure is the fatuous tendency of directors and mine managers to adopt new processes and inventions simply because they are new. As an inventor in a small way myself, and one who is always on the watch for improved methods, I do not wish to discourage intelligent progress; but the greatest care should be exercised by those having the control of the money of shareholders in mining properties before adopting any new machinery or process. We have seen, and unfortunately shall see, many a promising mining company brought to grief by this popular error. The directors of mining companies might, to use an American saying, "paste this in their hats" as a useful and safe aphorism. "LET OTHERS DO THE EXPERIMENTING; WE ARE WILLING TO PAY ONLY FOR PROVED IMPROVEMENTS." I can cordially endorse every word of the following extracts from Messrs. McDermott and Duffield's admirable little work, "Losses in Gold Amalgamation." "Some directors of mining companies are naturally inclined to listen to the specious promises of inventors of novel processes and new machinery, forgetting their own personal disadvantage in any argument on such matters, and assuming a confidence in the logic of their own conclusions, while they ignore the fruitful experience of thousands of practical men who are engaged in the mining business. The repeated failures of directors in sending out new machinery to their mines ought by this time to be a sufficient warning against increasing risks that are at once natural and unavoidable, and to deter them from plunging their shareholders into experiments which, in ninety-nine cases out of a hundred, result in nothing but excessive and needless expenses. "It is certain that new machines and new processes are, and will be, given attention by mining men in proportion to their probable merits; but the proper place for experiments is in a mill already as successful as under known processes it can be made. In a new enterprise, even when the expense of an experiment is undertaken by the inventor, the loss to the mine-owner in case of failure must be very great, both in time and general running expenses. Directors should not believe that a willingness to risk cash in proving an invention is necessarily any proof of value of the same; it is only a measure of the faith of the inventor, which is hardly a safe standard to risk shareholders' money by. "The variety of modifications in approved processes ought at least to suggest the desirability of exhausting the known, before drawing on the unknown and purely speculative. It should also be borne in mind that what might appear at first sight to be new processes, and even new machinery, are, in fact, often nothing but old contrivances and plausible theories long ago exploded among practical men. "Many mining companies have been ruined, without any reference to their mines, through men deciding on the reasonableness of new process and machinery who have no knowledge of the business in hand. It is assumed often, that if an inventor or manufacturer of new machinery will agree to guarantee success, or take no pay if not successful, the company takes no risk. In actual fact a whole year is wasted in most cases, failure spoils the reputation of the company, running expenses have continued, and further working capital cannot be raised, because all concerned have lost confidence by the failure to obtain returns promised. All this in addition to the regular, unavoidable risks of mining itself, which may, at any moment during the year lost, call for increased expenses and increased faith in ultimate success. To the mining man who makes money by the business, the natural risks of mining is all he will take; it is sufficient; and when he invests more money in machinery he takes good care that he takes no chances of either failure or delay. 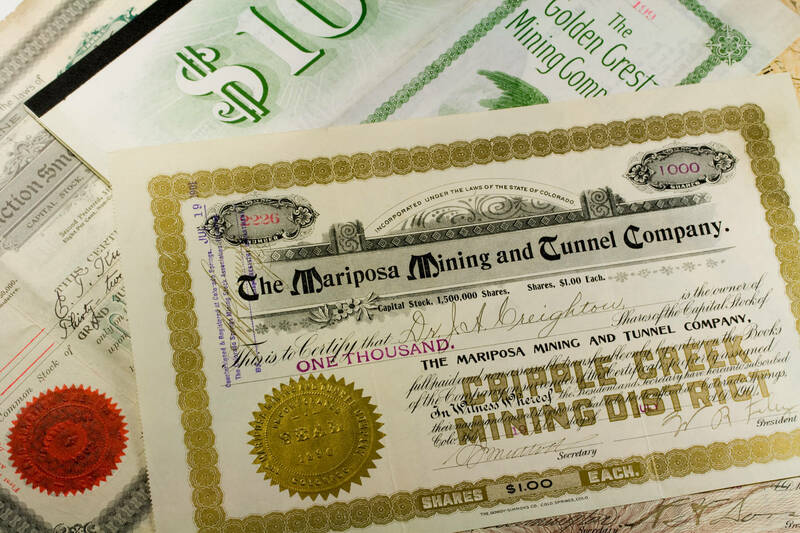 "The following are rules which no mining company or individual mine-owner can afford to neglect. "(1) The risk should be confined to mining. No body of directors is justified in taking a shareholder's money and investing it in new processes or machinery when the subscription was simply for a mining venture. Directors are invariably incapable of deciding whether a so-called improvement in machinery or process is really so or not, and the reasonable course is to follow established precedents. "(2) The risk of selecting an incompetent manager should be reduced to minimum by taking a man with a successful record in the particular work to be done. The manager selected should be prohibited, as much as the directors, from experimenting with new methods or machinery. A really experienced man will require no check in this direction, as he will not risk ruining his reputation. "(3) The only time for a company to experiment is when the mine is paying well by the usual methods, and the treasury is in a condition to speculate a little in possible improvements without jeopardising regular returns." Probably this is the best place to insert another word of warning to directors who are not mining specialists, and also to investors in gold mining shares. Assays of auriferous lode material are almost invariably worthless as a guide in the real value of the stone in quantity. The one way to decide this is by battery treatment in bulk, and then only after many tons have been put through. The reason is obvious. First, the prospector or company promoter, if he knows it, is not in the least likely to pick the worst piece of stone in the heap for assay; and, secondly, even should the sample be selected with the sole object of getting a fair result, no living man can judge the value of a gold lode by the result of treatment of an ounce of stone. So when you see it stated that Messrs. Oro and Gildenstein, the celebrated assayers, have found that a sample of rock from the Golden Mint Mine, Golconda, assays at the rate of 2,546 oz. 13 dwt. and 21 gr. to the ton, and that there are thousands of tons of similar stone in sight, the statement should be received with due caution. The assay is doubtless correct, but the deductions therefrom are most misleading. A few words of advice also to directors of mine-purchasing companies and syndicates, of which there are now so many in existence, may probably be found of value. It is not good policy as a general rule to buy entirely undeveloped properties, unless such have been inspected by your own man, who is both competent and trustworthy, and who should have indeed an interest in the profits. Large areas, although so popular in England, do not compensate for large bodies of payable ore; the most remunerative mine is generally one of comparatively small area, but containing a large lode formation of payable but often low grade, ore. It is worse still, of course, to buy a practically worked out mine, though this too is sometimes done. It must be remembered that mining, though often so profitable, is nevertheless a destructive industry, thus differing from agriculture, which is productive, and manufactures, which are constructive. Every ton of stone broken and treated from even the best gold mine in the world makes that mine the poorer by one ton of valuable material; thus, to buy a mining property on its past reputation for productiveness is, as a rule, questionable policy, unless you know there is sufficient good ore in sight to cover the purchase cost and leave a profit. "No one that has not experienced the evil of gold thieving from reduction mills can have any idea of the pernicious element it is, and the difficulty, once that it has got 'well hold,' of rooting it out. It permeates every class of society in the district connected with the industry, and managers, amalgamators, assayers, accountants, aye, even bank officials, are 'all on the job' to 'get a bit' while there is an opportunity. To exterminate the hateful monster requires on the part of the mine proprietors combined, stern and drastic measures undertaken under the personal supervision of one or more of their directors, and in many instances necessitating the removal of the whole of the official staff." The writer narrates how about twenty years ago he was led to suspect that in an Australian mine running forty head of stamps, in which he held a controlling interest, the owners were being defrauded of about a fourth of the gold really contained in the ore, and the successful steps taken to check the robbery. "(a) Both of these officials to keep separate books and accounts; in other words, to be distinct departments. "(b) The ore formerly was all thrown together and put through the mill. I subdivided it into four classes, A, B, C, and D, representing deep levels north and upper levels north, deep levels south and upper levels south, and allotted to each class ten heads of stamps at the mill. "(c) The mine manager to try three prospects, forenoon and afternoon of each day, from the dumps of each of the four classes and record in a book to be kept for that purpose the estimated mill yield of each one. "(d) The mill manager was required to do the same at the mill and keep his record. "(e) There were four underground bosses in each shift, twelve in all. I had a book fixed at the top of the shaft in which I required each of these men, at the expiry of every shift, to record any change in the faces of the quartz and particularly in regard to quality. "(f) Having divided the ore into four classes I instructed the amalgamators, of which there were two in each shift, six in all, that I required the amalgam from each to be kept separate, with the object of ascertaining what each part of the mine produced. "(g) I procured padlocks for the covering boards of the mercury tables and gave the keys to the amalgamators with instructions that they were not to hand them over to any one except the exchange shift without my written authority, and instructed them that they should clean down the plates every three hours, and after cleaning down the amalgam, buckets to be placed in the cleaning room, which I instructed to be kept locked and the key in charge of the watchman night and day. "(h) The whole of the amalgam taken from the plates during each twenty-four hours to be cleaned and squeezed by the two amalgamators on duty every forenoon at nine o'clock in the presence of the mill manager, who should weigh each lot and enter it in a book to be kept for the purpose, and the entry to be signed by the mill manager and both amalgamators as witnesses. "(i) Every alternate Friday the mortars (boxes) to be cleaned out; the work to be commenced punctually at eight A.M. by the six amalgamators in the presence of the mill manager, assisted by the three amalgam cleaning room watchmen and the four battery feeders on duty, prohibiting any of them from leaving until the cleaning up was finished, and the amalgam cleaned, squeezed and weighed, and the amount entered by the mill manager in the record look and attested by the amalgamators. "I think the intelligent readers (particularly those with a knowledge of the business) will see the drift of the above regulations, viz., for there to be any peculation the whole of the battery staff—fourteen in all—would have to participate in it, and the number was too many to keep a secret. Formerly the amalgam cleaning room was sacred to the mill manager, and on announcing to that official the new instructions he at once tendered his resignation in a tone of offended dignity, immediately followed by that of the mine manager. It is a significant fact that shortly afterwards these two officials purchased a large mill and other property at a cost of ten thousand pounds, and that the mine yielded for the following three years during which I was connected with it an average of over 17 dwt. to the ton, as against formerly 10 to 12 dwt. "The reader must draw his own conclusions. I used to make it a practice to visit the mine daily and prospect the ore, and having the mine and mill managers' daily prospecting as a guide as well as my own, every man at the mill knew it was impossible for them to thieve without my detecting it; moreover, I made it a rule to discharge any of the mill employees that I discovered were interested in any small private claims. "The crux of the whole thing is having a practical miner at the head of affairs, and it is impossible for him to thieve if the work is carried out in the manner I have described." To bring the whole matter to a conclusion. It may be taken as a safe axiom that to make gold mining in the mine as distinct from mining on the Stock Exchange really profitable the same system of economy, of practical supervision, and scientific knowledge which is now adopted in all other businesses must be applied to the raising and extraction of the metal. Then, and not till then, will genuine mining take the place to which it is entitled amongst our industries.